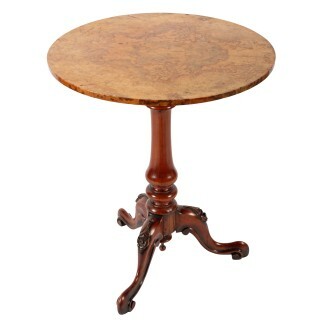 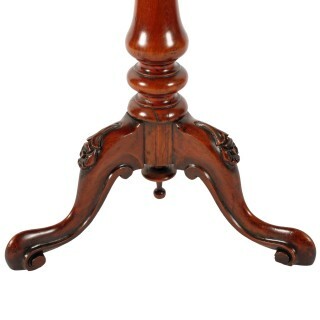 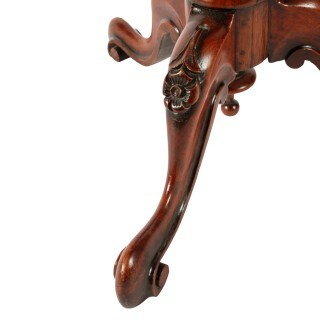 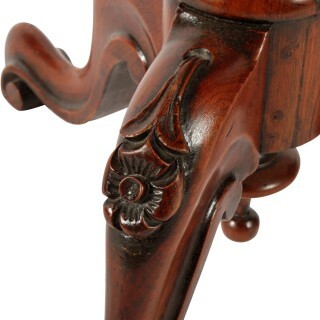 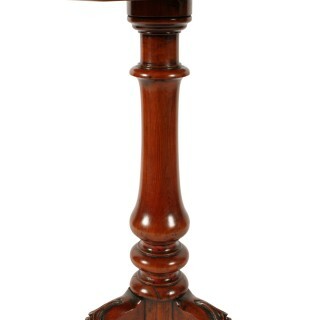 A middle of the 19th century Victorian walnut tripod table. 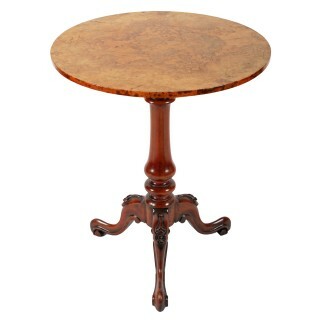 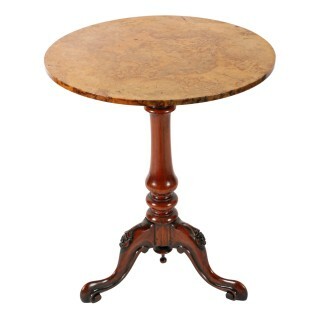 The table has a burr walnut veneered top, a tripod base with three cabriole legs that have carved knees and scroll toes. 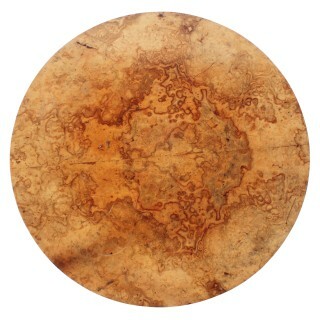 The circular top has two mirrored panels of burr walnut veneer, a burr edge and the centre stalk is turned and tapering.